You have these fresh oranges, so bright and flavourful, you feel your mouth drooling just by looking at them. When you juice them, their juice is sweet and sour, aromatic and refreshing. When you grate their peel, the zest sings and the aroma carries your imagination away to green fields with blossoming orange trees and blue skies. You want to capture their essence and share it with others. You think of the orange ice cream you once bought and you set off to reproduce this flavour. You choose a recipe and proceed. 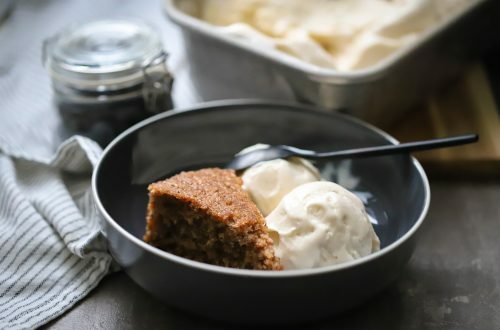 When the perfectly cloudy stuff is churned, you take a spoonful and bring it to your mouth. Hmmm… Ice cream, yes. But, where is the orange taste? 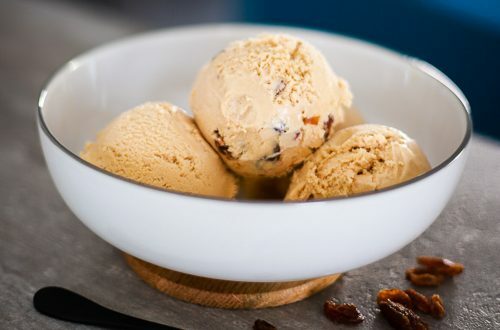 The truth is that homemade orange ice cream is the only ice cream that struggles to keep up with its laboratory-born cousin. The reason is that store bought orange ice cream owes its sparkling orange taste to specialty ingredients. One of them is frozen concentrated orange juice, which is simply orange juice with most of its water removed. Less water equals more orange taste. Another is orange flavouring, which really makes an orange ice cream sparkle. The two of them in combination create an orange ice cream with a brilliant orange taste which fascinates our taste buds. But when it comes to making your own orange ice cream at home, you can still make it sing. In addition to using lots of orange zest, add the zest of a lemon; this gives it a zing. Also add buttermilk; this gives it a discreet sourness, which helps the orange flavours stand out. Lastly, a natural orange liqueur, such as Cointreau enhances it effectively. All these add up to an orange ice cream which is bright, refreshing and well, orangey. 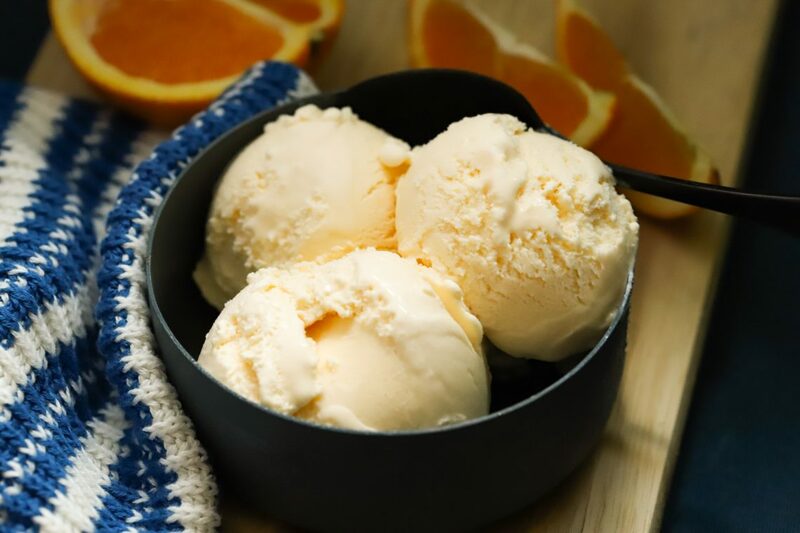 When choosing oranges for this ice cream, choose small-size ones. Small ones are usually more aromatic than their larger counterparts. The best way to judge an orange, is by lightly scratching the skin to smell the zest. If its aroma is bright and breezy, it is perfect. It is also best practice to buy oranges growing near you, as the ones coming from further afield are usually waxed. Good quality oranges are rarely found in super markets. You will have better luck looking for the right ones at a greengrocer or at your local farmers market. Place sugar and 200 gr heavy cream into a medium saucepan. Finely grate the oranges and lemon directly into the cream. Warm it over medium heat, stirring occasionally, until the sugar dissolves and it is warm and steamy when stirred. Do not bring to a boil. Remove from heat, cover and leave to infuse at room temperature for one hour. When the infused cream is ready, set up your workplace. In a medium bowl pour the buttermilk and the remaining 400 ml heavy cream. Set a mesh strainer on top. Place the bowl along with the strainer into a larger bowl, large enough to allow you to add ice cubes and iced water from the sides to create an ice bath. Fill the sides with ice cubes and cold water, taking care not to let any water slip into the bowl with the dairy. Set aside. Place the egg yolks in a bowl and whisk well. Keep the egg yolks and the whisk along with a ladle and instant thermometer near the stove. Return the saucepan to the stove and warm over medium heat, stirring occasionally. When warm, start pouring the hot mixture into the egg yolks, a ladleful at a time, stirring the egg yolks continually. Pour the egg yolks and milk mixture back into the saucepan. Cook the mixture, stirring constantly with a silicone spatula, until the temperature reaches 82ºC / 180ºF. Remove from the heat and pour over the strainer and into the heavy cream and buttercream. Leave to cool until tepid, stirring occasionally to help it cool down faster. Pour into a container and close with a lid. Leave in the refrigerator overnight or up to 3 days, if dairy is fresh. Prepare the ice cream machine according to the manufacturer’s instructions. With the machine running, pour the chilled ice cream base through the canister and into the ice cream machine. Leave to churn until nice and fluffy. With the machine still on, add the Cointreau, a tablespoon at a time, waiting for the liqueur to be absorbed before adding the next. When both tablespoons have been added, allow to churn for a full 5 minutes more to properly mix in. Remove the machine from the container and put the container along with the lid into the freezer. 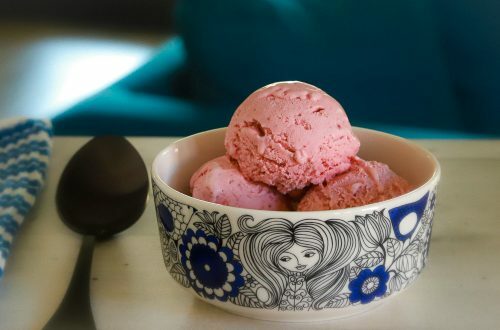 Leave for 3-4 hours for the ice cream to properly set, before serving or removing to another container. If stored long term, it needs to be softened before serving. Transfer to the refrigerator and leave for about 30 minutes.